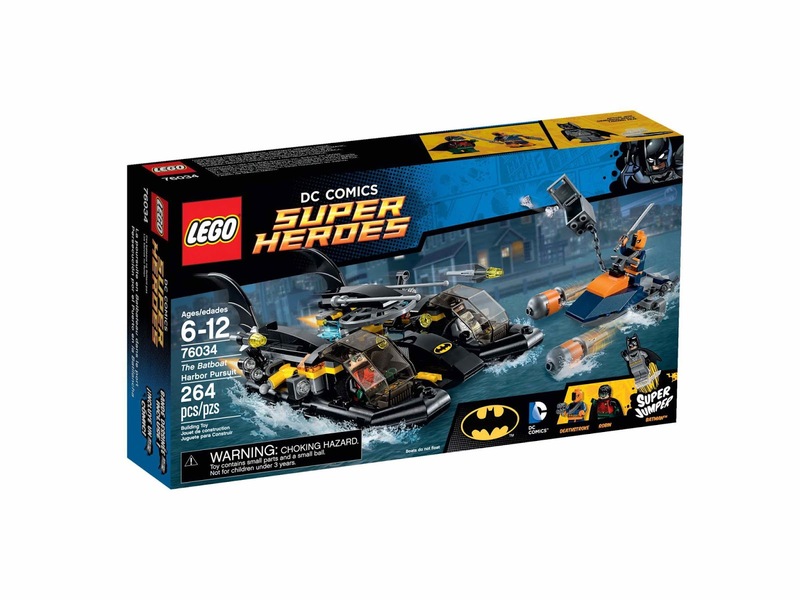 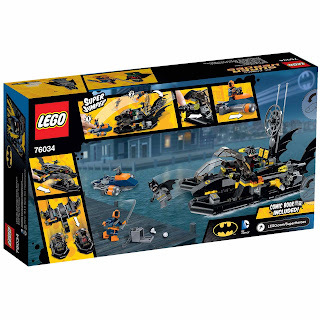 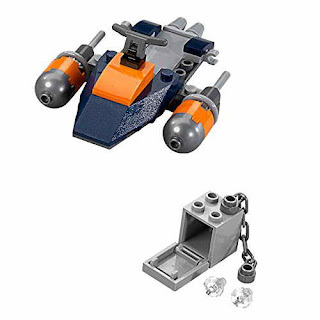 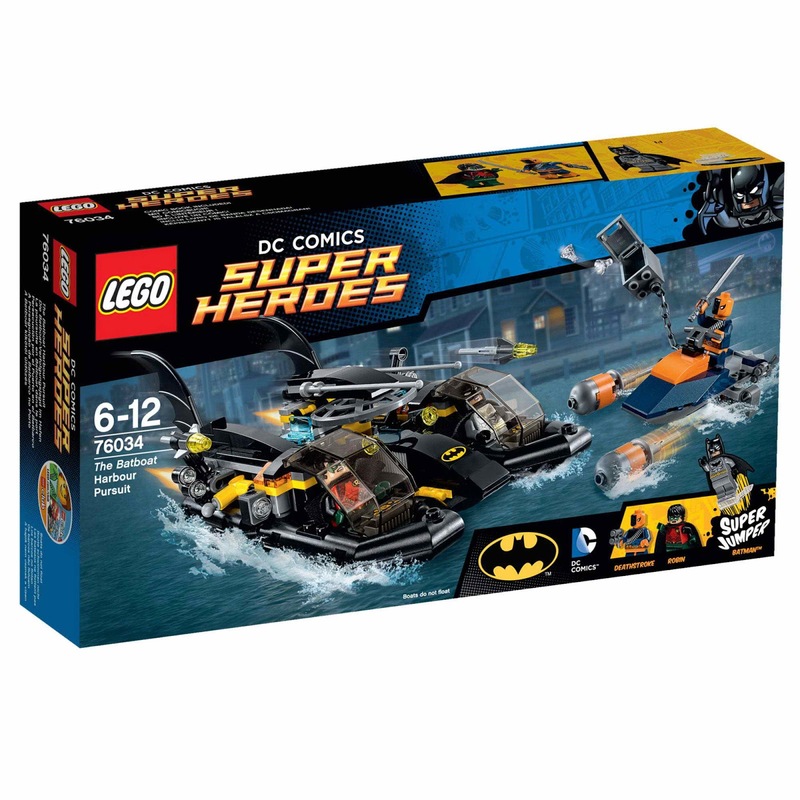 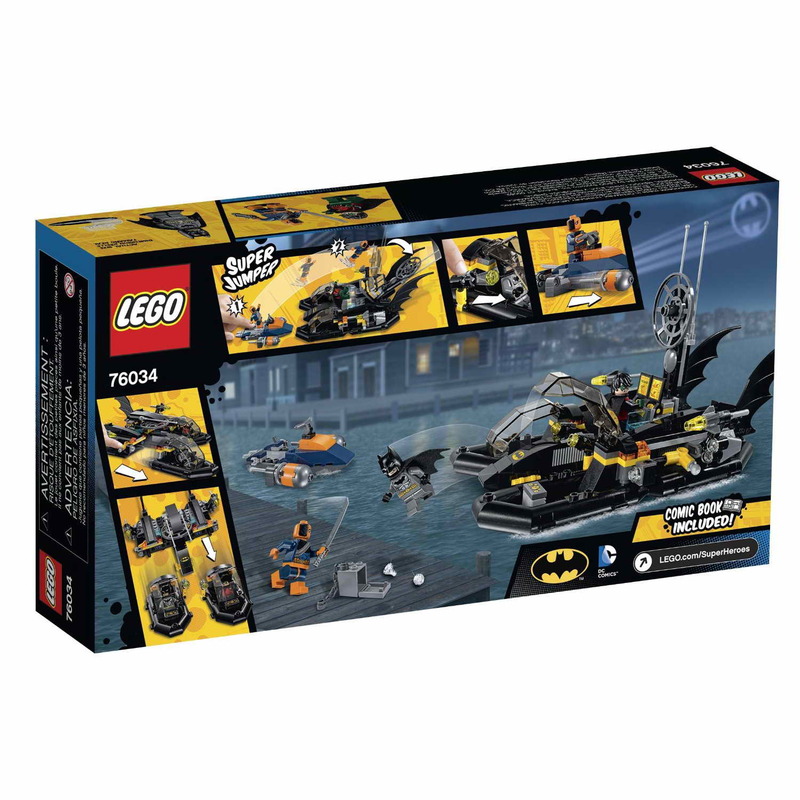 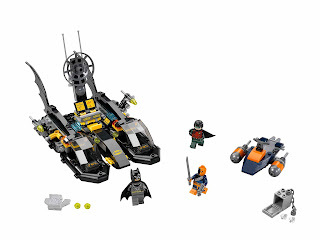 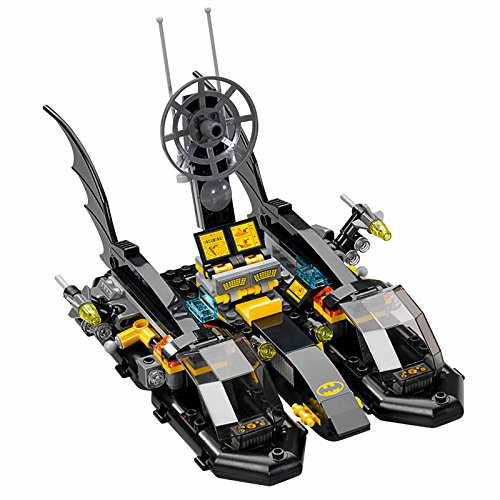 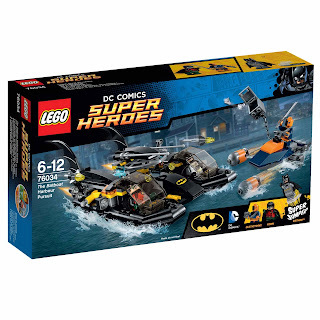 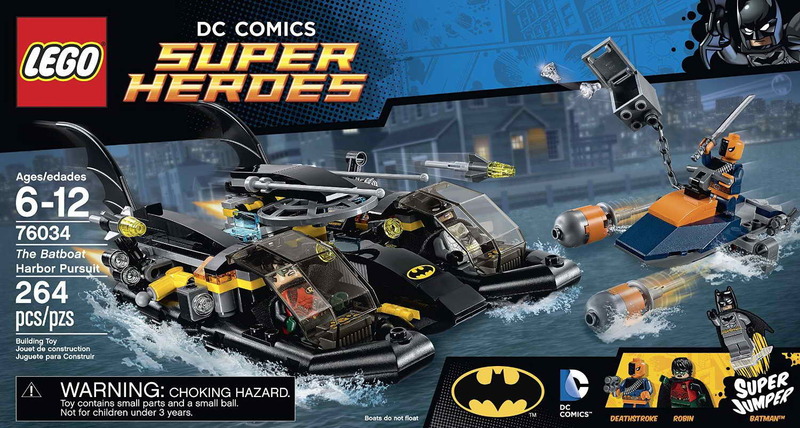 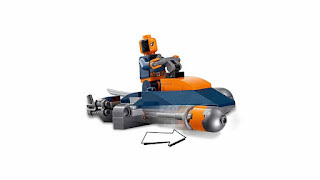 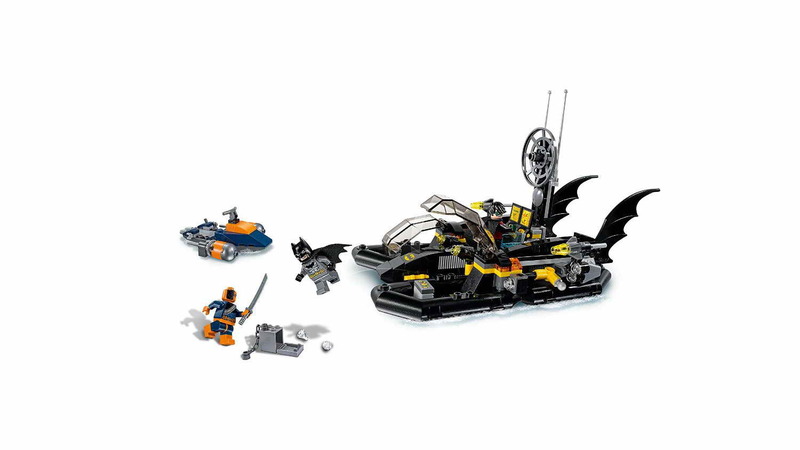 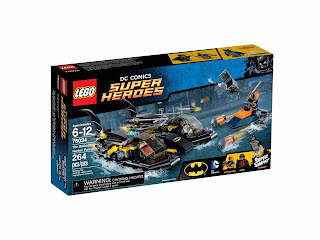 the batboat has 2 split function hoverboats each with openable cockpits and a stud shooter, 2 flick missiles, a secret radar tower with explodable function, a minifig seat and control screens, giant batwings, a batman emblem logo and transparent elements. the jetboat has a saddle, an integrated super jumper, 2 flick torpedo missiles, 2 weapon holders with a gun and a sword and a safe with a chain and 2 diamonds. 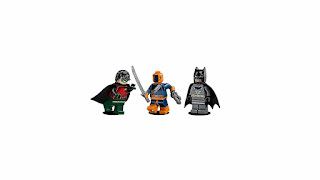 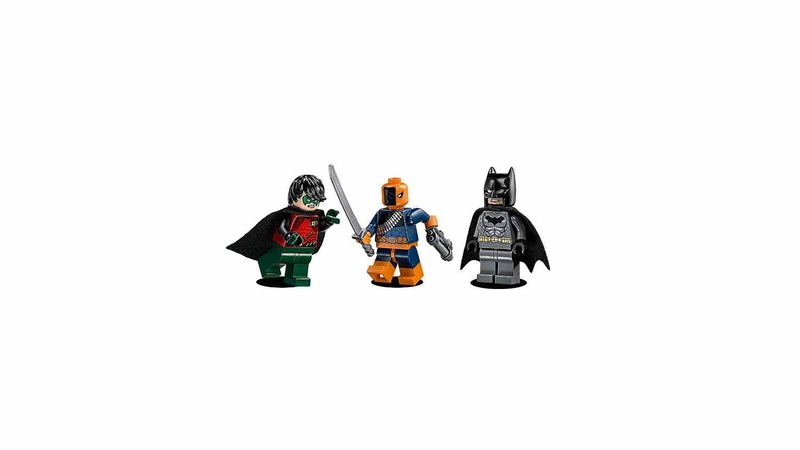 minifigs included a batman minifig, a robin minifig and a deathstroke minifig.